Car Alarm Miami | Your Auto Security Installation Specialist! Protect your vehicle with a top of the line auto security system from Car Alarm Miami. Get Expert Installation on a wide selection of car alarms from Viper, Clifford, DEI, Prestige, Avital including the SmartStart System. If you are serious about protection, your vehicle from thieves and vandals with a professional car alarm from top rated manufacturers like Viper, Clifford, Code Alarm, Avital, SmartStart security system, or any other type of car alarm system for your new or used vehicle? Congratulations you have come to the right place. We are not interested in just selling you an auto alarm. We want to make a repeat customer out of you. With over 35 years in the business, we are well known for the range of automotive security products we offer. However, we are truly a full-service auto accessory shop offering Auto Security, Car Stereo, Window Tinting, Lambo Doors, Wheels, HID Light and more. Whether you have a new car or used one or whether you have an exotic or a daily transport we will make every car, truck and boat shine! Many people think that car alarms are yesterday’s news. This is until their car or truck is broken into, vandalized, hijacked or stolen. 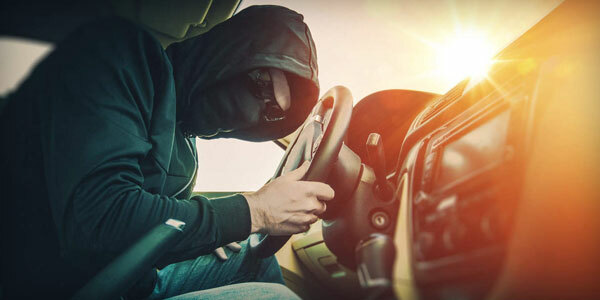 While many car manufacturers today make a good effort in protecting vehicles from the thief with fancy transponder keys and basic door sensing alarms, that the fact remains that these vehicles are still getting stolen. The technology is available to clone and deactivates transponder key as national programs like 20/20, 60 minutes and CNN have shown. The Cost of Automotive Security! The truth is that it is easy to protect many cars and trucks from theft, vandalism, and hijacking for less than what a transponder key cost! If you are of the mindset that an automotive security system is some blaring, annoying, clicker you are wrong. Yes, we have simple basic system suited primarily for commercial vehicles with specific needs, but in comparison to many of the technologies that surround our lives, today’s auto alarms are truly more sophisticated today than even many home security systems! Auto Protection is not what it used to be! We would like to present you to SmartStart, the latest in car security technology. SmartStart is the most technologically advanced automotive security system on the market today! Available under both top of the line automotive security brands Clifford and Viper, SmartStart is automotive security with peace of mind. Customers using the exciting Viper SmartStart app, you can now remote start or lock and unlock your car just by pushing a button on your Android Smartphone, BlackBerry, iPhone, iPad or iPod Touch. You can even set a SmartFence or Hotspot alert that will notify you when your car leaves or enters a designated zone. SmartStart can also control multiple vehicles – great for families – and assign more than one user to control a vehicle. The fact is that it is difficult to put into words how many of these features work. Therefore, we would like to invite you to come by for a free demonstration and to analyze what SmartStart option and features best suit not only your needs but also your particulate vehicle! See at Car-Alarm-Miami.Com for all your South Florida sound and protection needs!